A growing interest among young adults is learning new skills. From cooking to butchering, woodworking, and metalwork, creative young adults have clamored to expand their skill sets by joining like-minded individuals in fun coursework. Learning to pour cocktails is one of the popular ways that today’s creative young adults are making connections with one another. Bars and taverns around the country have implemented courses to meet this demand. One of the most exciting trends in the bar service industry is the rise in mixology courses. Bartenders around the country are opening their doors to those who wish to craft their own custom cocktails. Courses like this go hand in hand with another trend that originated among the creative class in major U.S. cities: a rise in demand for curated cocktails that incorporate seasonal fruits and handmade syrups. “Mixology establishments” have sprung up in many cities across the United States, offering patrons quite a bit more than traditional cocktails and on-tap beers. As tastes mature and expand, bar patrons began to want to learn more about the mixology environment, and these courses satisfy that desire for knowledge. Bars offering mixology courses cover a broad range of topics, from classic mixed drink preparations to crafting naturally carbonated sodas, creating signature drinks, making homemade liqueurs and wines, and even bartending tricks of the trade. Mixology instructors incorporate fresh fruits and seasonal variations in their courses, and holiday-themed cocktail classes are among the most popular choices for city dwellers. 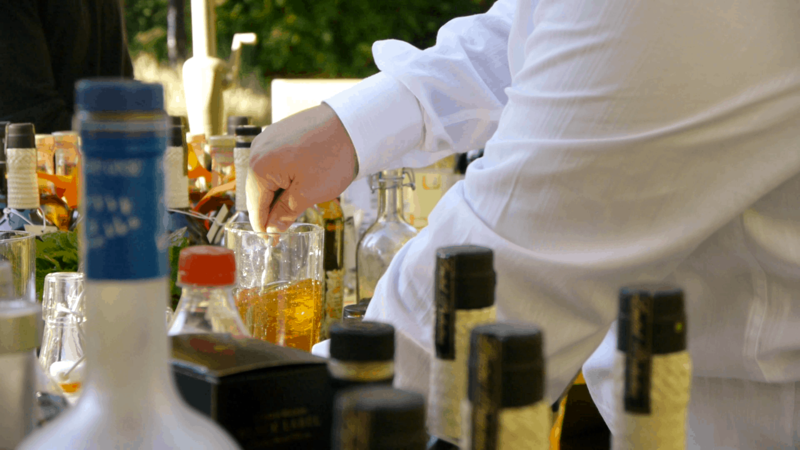 It is also worth noting how important experience is for guests as a mixologist. Automated bars just don’t cut it, for now. People interested in learning to mix their own cocktails may not have access to bars and restaurants offering mixology courses, but there is still an avenue for learning: online courses. SkillShare, an online learning environment that spans a huge range of coursework in business, lifestyle, and technology for site members, has a robust following for its “mixology” course channel. Dozens of online mixology courses are offered through the platform. YouTube and other video-sharing sites have also added many mixology courses to their offerings, giving people around the world the chance to learn a fun new skill. Forward-thinking bar owners and restaurant operators have also leveraged the power of social media in order to connect with patrons. These bar and restaurant locations know that not all people will be able to attend an in-person mixology class – busy lives and schedules make it difficult to take time away for a course. By sharing coursework on the bar’s Facebook or Twitter page, those who are unable to attend in person still have the opportunity to learn mixology skills and cocktail preparation knowledge. Sharing insights into mixology has had the pleasant side effect of building brand loyalty among bar patrons as well. These courses, whether in-person or online, are simply another way for bar and restaurant operations to share knowledge, bring patrons together, and lay the groundwork for a fun, engaging experience. Have you had an experience with a Mixology course? Comment below!